We’ve reverted to mean here in Seattle. People are back in their sensible rain boots, Gore-Tex, puffy jackets, and fleece. Runny noses, germs and Kleenex are making their rounds along with the Halloween candy. And in a few short weeks, it will be dark at 4pm. Fashion aside, the fall chill from the drizzle and gloomy skies has a surprising but tasty side effect: a constant craving for warm comfort foods like slow-cooked stews, hearty meat pies, and homemade soupy noodles and broth. When we eat out these days, I’m pretty much craving some kind of broth with noodles like pho or ramen or udon. That’s my personal comfort food as it warms my fall soul. This got me to thinking about comfort foods and what we tend to crave when it’s cold outside or when we’re under the weather. What does comfort food really mean anyways, and why do certain foods console us, making us feel better? My theory is that a key component of a comfort food is that it somehow evokes memories of childhood and being loved and cared for. It reminds you of mom, and my mom makes delicious soup. To me, a clear but rich soupy broth is the ultimate comfort food, especially when it’s cold, wet, and nasty outside. I’m currently obsessed with replicating my mom’s Chinese style bone broths from scratch, usually a chicken or a beef short rib soup. I’m no chef, but I’ve discovered that I am actually kind of fanatical when it comes to making clear broths. No Tetra Paks, MSG, bullion cubes, or cans are allowed anywhere near my homemade soups! After we were newly married, I got sick. DH (being the thoughtful and kind DH he is) tried to “make soup” for me. But his plan backfired when he started by heating up a Tetra Pak of organic chicken stock (or maybe it was a can of Progresso?) I can’t exactly remember because I think I blacked out from the sheer shock and the horror. 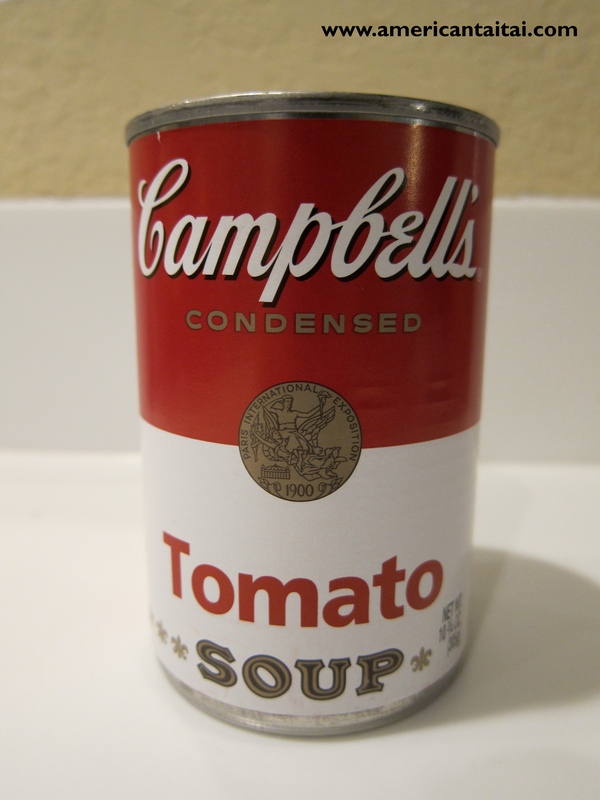 Soup from a Tetra Pak or a can = Blasphemy. Needless to say, DH has since learned what legit soup-from-scratch really means. And while soup-from-scratch tastes far superior to soup in a can, it does take at least 4 hours to stew. But it’s worth it and once you’ve had some, you just can’t go back to processed soup. Growing up, my mom used to make various Chinese-style dishes, including soups from scratch. 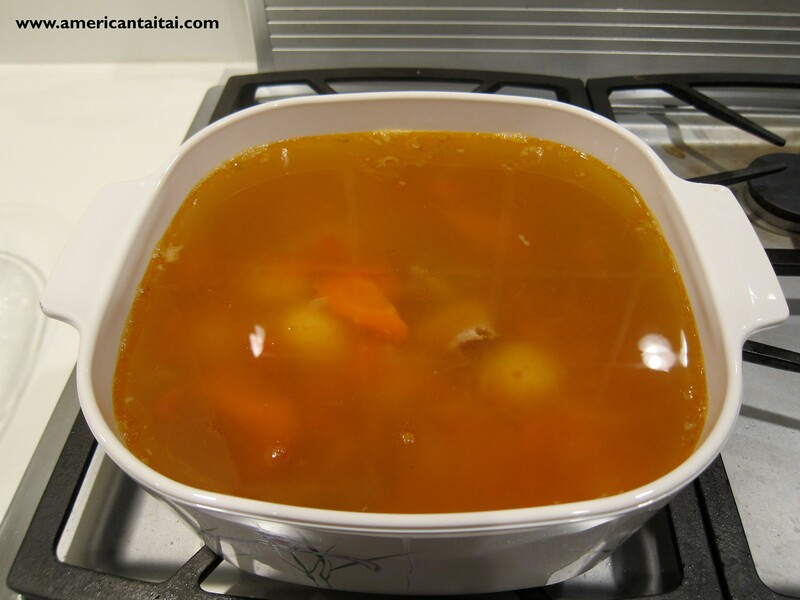 We would normally only drink the broth, and we rarely ate the meat, since the meat and bones were merely for flavoring the broth that had already absorbed all the nutrition and subtle wonderful tastes. Thinking back, it was a little wasteful, but that’s just how we served our soup at dinner. Every family is different, and many of us hang onto what we grow up with, especially when it’s tasty, comforting, and reminds you of childhood and what your mom made especially for you when you were sick and home from school. And while I’m not Cantonese, I can totally appreciate the Cantonese skill and art to making broth in Hong Kong. They really know how to make their soups there, and have elevated broth into a culinary art form with different double-boiling techniques. But you don’t have to order exotic and expensive soups. You can’t go wrong just ordering the “soup of the day” (lei tong) for a decent price at a legit Cantonese restaurant. And in Hong Kong, they serve their Cantonese soups right: with the flavorful broth served in your bowl, and all the meat and stewing vegetables served separately on a platter for you, with soy sauce on the side. So call me a soup snob, but since moving back to Seattle, I just can’t bring myself to order Western-style soups, even at a nice restaurant. Or partake in whatever they’re serving at the organic grocery soup bar, since it’s often a cream-based or potato soup with lots of salt and cornstarch. I just can’t call that thick goopy mess “soup” with a clear conscience. I suppose I don’t appreciate thick Western-style soups because I didn’t grow up with them. Certain Western soups don’t offer me comfort, but rather, a sense of frustration and disappointment in being labeled “soup” when its consistency is (in my opinion) closer to a bland sauce. Comfort foods reveal some of our habits and preferences in cooking. We often learn about food from what we observe growing up. I didn’t grow up with creamy tomato soup and grilled cheese sandwiches. (Well, we had the grilled cheese, but never the creamy tomato soup, and yes, I admit the pairing is quite nice.) So this year I made creamy tomato soup for the first time, ever. It was frighteningly fast, and only took about 20 minutes to make. But I was shocked by the amount of cream, butter, and cream cheese the recipe called for. While the soup was tasty and easy to make, I couldn’t help but think of it as “a liquid creamy tomato heart attack.” Of course all that liquid milk fat tastes delicious! How could it not be with all that heavy cream? In my book, “real soup” (and “real food”) takes time—a long time. It can’t be instant, and so creamy tomato soup, no matter how delicious and easy to make, just doesn’t qualify as soup-from-scratch. Friend 1: So did you have any good ramen in Sapporo? I hear there’s this place called Ramen Alley that is really good for ramen. Friend 2 (confused): Oh wait, that’s right, you’re vegetarian. But they have vegetarian ramen too, and there aren’t many vegetables in ramen either. Friend 2: So wait, you didn’t try the miso ramen in Sapporo? It’s as famous as the beer! How could you not have ramen there? It’s like the ramen capital of Japan! Friend 1 (interjects): So what did you eat during your trip? VWHV: Nope. Nope. I had lots of cheese sandwiches… oh and some Italian pasta and cheese pizza at Pizza Hut. It was delicious. VWHV: I don’t like ramen. Actually I don’t really care for any type of Asian food at all. Friend 1: Oh… so all you ate was cheese sandwiches, like at every meal, the whole time you were in Sapporo? Wow, you must really love cheese sandwiches. VWHV: Yup. It’s my favorite. And cheese pizza. But I suppose the flip side is that my Chinese soups have been improving. In fact, earlier this year, my mom tasted one of my soups, and she quoted a Chinese idiom 青出於藍, which means, “The student has surpassed the master” in praising my efforts. Growing up, I’d always watch my mom cook in the kitchen, and I suppose some of her Chinese soup techniques have somehow recorded themselves as I try to replicate some of her comfort food smells from my childhood in my own kitchen. I guess I’m becoming a more legitimate American Taitai now. So watch out, I’ve got my Chinese soup in my Corning Ware dutch oven to prove it! Too bad my Corning Ware dutch oven isn’t the Spice O’ Life version. Nice looking soup, American Taitai! “My theory is that a key component of a comfort food is that it somehow evokes memories of childhood and being loved and cared for. It reminds you of mom, and my mom makes delicious soup.” I think that’s very true – that feeling of being taken good care of and loved can work wonders! Thank you Mr. TBP! I’m glad I can cook soup b/c it’s relatively easy, just throw everything into the pot and slow stew. I hope all your whirlwind travels in recent weeks have given you lots of stories. Take care! Hahahaha, I would have offered you guys some, but it’s usually a bone broth w/chicken or beef ribs… I haven’t quite figured out how to cook the Cantonese fish and papaya soup, but that’s next on the list for me! I think my mom was trying to encourage me to cook more, and for some reason, the soup turned out good that day. And the fact they just stepped off the plane from Asia! 🙂 But I’ll take the compliment! Ooooo, your mom is also a VWHV?… Wow, so basically she just eats carbs then? Easiest “comfort food’ prep ever: chicken ‘juk’ (congee / porridge). Put 1 lb of boneless skinless chicken breast into a slow cooker crock pot, 1 cup of white rice, and 10 cups of water. Turn on low for 8+ hours, and when you wake up in the morning, stir up the chicken so that it shreds completely. Add salt to taste, and more hot water if needed. Technically its not really ‘soup’, but nothing reminds me more of happy childhood memories than this (except if you have some crispy ‘yau ja gwei’ too). Thanks NAIRB! Don’t have a proper slow cooker yet, but your chicken juk sounds divine!… I think we might have to splurge on one this winter! Thank you for the recipe and for stopping by! I had streaming KUOW on earlier today and heard the forecast of non-stop rain: I predict a soup cooking weekend for you. I am intrigued by your love of Chinese soup. I never really loved the bowls of broth with seemingly random animal bits that showed up in every restaurant in Guangdong, but I’ll have to re-consider now. Hahaha… KUOW! Yes… it’s rain and more rain these days. You are a true Seattle person indeed! As for the Chinese soups, I’m more conservative and usually just drink the broth (and I don’t attempt the animal bits) but this article might interest you: http://www.cnngo.com/hong-kong/eat/best-soup-785955 One of my favorite places to get the “lei tong” (soup of the day) is at Lei Garden. They usually have half a dozen special double-boiled soups you can try: http://www.leigarden.hk/eng/location/hongkong.asp. But any good Cantonese restaurant in HK will have a good soup of the day, just ask! 🙂 Hope all is well in the Pearl River Delta! I once knew a VWHV. He mostly ate tofu and pasta.